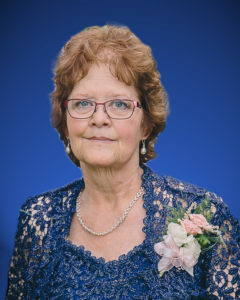 Thea Ladell Boeckner – of Hays, Kansas, age 63, died Wednesday, September 19, 2018 at Hays Medical Center, Hays, Kansas. She was born January 11, 1955, in Hays, Kansas, to Dean and Marjorie (Loreg) Boeckner. She worked for DSNWK for a number of years and was manager of New Age Services. She was a 1973 graduate of Geneseo High School and attended McPherson College. Thea lived most of her adult life in Hays. Survivors include her two sons, Joseph M. Boeckner and wife, Jodi Boeckner, Hays, KS; David L. Boeckner, Hays, KS; her mother, Marjorie Boeckner, Hays, KS; two brothers Dan Boeckner and Dean Boeckner, both of Hays, KS; four sisters, Avea Mahan, Roeland Park, KS; Tammie Acheson and husband, David Acheson, Palco, KS; Tanya Boeckner and Jessica Boeckner both of Hays, KS. Services are at 11:00 A.M. Monday, September 24, 2018, at Cline’s-Keithley Mortuary of Hays, 1919 East 22nd Street, Hays, Kansas 67601. Graveside services will be at 2:30 P.M. Monday, at the Paradise Center Cemetery in rural Rooks county. Visitation will be from 6:00 to 8:00 P.M. Sunday and from 10:00 to 11:00 A.M. Monday all at Cline’s-Keithley Mortuary of Hays.